Most of us by now have updated our PCs to Windows 10. Many faces issues with their Chrome browsers being unresponsive. I have put together the solutions for you to check and fix the prolonged issue. In most cases turning on the safe mode can fix crashing issue with Google Chrome. Click on the start menu. click on the Power icon. Press and hold the shift key and press the restart button. Click on Troubleshoot. Go to Advanced options. Click on the Startup Settings. Click on Restart option. This will allow you to login to Windows 10 in safe mode. Now move on to the 2nd step. Step 2: Clear Caches and Cookies. Clear browsing data, history, cache, cookies. Step 3: Turn OFF Hardware Acceleration. Open Chrome Settings, click Menu located on the top left side. Expand Advanced entry. Click on System option. turn off Use Hardware acceleration When available. Click Relaunch to restart the browser. this will allow you to boot into Windows 10 Fall creators update/Creators Update/Anniversary update to normal mode. Google Chrome will be fixed. At times it happens that the Chrome does not open by double-clicking. Fix this by modifying the properties. Right-click on Chrome icon. Click on Properties. Select Compatibility tab. Click on Change settings for all user. unmark Run this Program in compatibility mode. Check Run this program as administrator. Under Settings. Click on Apply. Hit OK.
You can check the network configuration by adding a Multicast to solve your Google Chrome not responding to Windows 10. follow the steps below. Press win+R to launch Run. Type ncpl.cpl and hit enter. Network Connections will open. right click on the currently working network adapter. Select Microsoft Network Adapter Multiplexor Protocol. Click the Install button. Highlight the protocol option. Then click the Add button. Highlight Reliable Multicast protocol. then click OK. Restart your computer and try opening Google Chrome. If none of the solutions work for you then try to reset the Winsock Catalog back to default. Type: netsh winsock reset Hit enter. Google Chrome is one of the most stable and reliable browsers to work with. It is easily the most used browser ever used. Being the most used browser does not mean that it does not come with the occasional crash. the nonresponsiveness of Google Chrome is a very common problem and it faced by almost everyone. The best part is that it can be fixed using easy steps. These are the following steps to fix or repair Google Chrome. Go to Start menu. Type Windows firewall. Hit enter. Then type: netsh winsock reset. This will flush your DNS cache in your Chrome browser. In most cases, Malware is the main reason for the Google Chrome to crash or not respond at all. what you can do is scan for Malware using your main antivirus. then run the system to check if the problem is resolved or not. open search menu and type in cmd. Select Command Prompt then Run as Administrator. Type: sfc /scannow then hit enter. Outdated Chrome Browser can be the case of the crash of your browser. Update your Google Chrome browser regularly to avoid such issues. To update Chrome browser all you have to do is. Again open Browsing Menu. Then go to Settings. Then Show Advanced Settings. Expand Privacy. Select Content Settings. Click on All Cookies and Site Data. Then remove all. Google Extensions can sometimes be the cause for you Google Chrome not responding in Windows 8 and Windows 7. Disabling Extensions might solve your Chrome crashes. To disable Extensions follow the steps below. Click on the browsing menu in the top right corner of your screen. Uncheck Enable to disable or Delete to the Extension completely. Open Browsing menu located on the top right corner of the screen. Go to Settings then Advanced Settings. Click on Reset Browsing Settings. Relaunch the browser. One of the most common solutions to Google Chrome in Windows 8 and in Windows 7 is to first uninstall then reinstall the browser all over again. This is an almost foolproof solution. If nothing works this perhaps will. The above steps should be able to troubleshoot all of your problems if your Google Chrome is not responding to your Windows 8 or your Windows 7. It should be able to help you in any situation if your Chrome browser is constantly not responding to your commands. 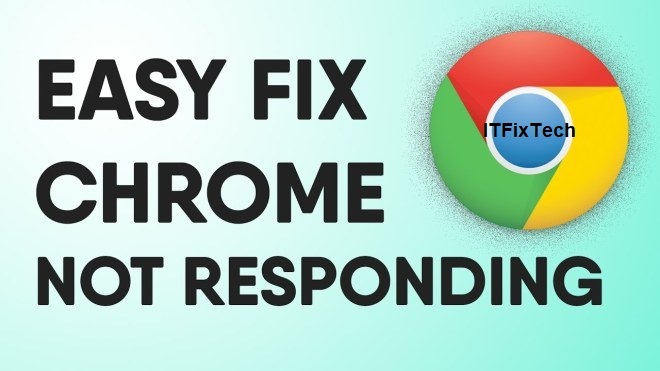 Now let us see what all steps are needed to solve Google Chrome not responding in your Mac OS. Mac OS has always been the king of operating systems and Google Chrome has been the king of all browsers in existence. Google Chrome has always been easy to use, stable and at the same time very reliable. But there are times when Chrome crashes on Mac OS as well. Let us see what steps to take if Google Chrome is not responding on Mac. The user profile can at times get corrupted causing your Chrome browser to crash on your Mac. Changing the User profile can sometimes solve this issue, and is highly recommended. To change the User profile, all you have to do is follow the Steps given below. First, completely exit Google Chrome. Open Finder, then click Go: Go to folder. A window will open, search for the Default folder. Rename Default folder to Backup Default. It has been found that Chrome Canary is a very common solution for your Google Chrome crashes. It is not a foolproof solution but has worked for many. you can try to see if it fixes your Chrome not responding on Mac. Just download the link below. This is one thing you can do to solve your Chrome crashes. Checking for permissions can often resolve most of the Chrome issues. Perhaps the pathway Library>Application Support>Google>Chrome is owned by root. All you have to do is delete it with sudo rm-Rf. Relaunch Chrome. The browser should work just fine. Outdated chrome is the main reason for most Google Chrome breakdown in Mac OS. Updating the browser should solve most of your problems. To update your Chrome Browser, follow the steps given below. Click on the browser menu, located on the top right corner of the screen. Upon clicking, Google Chrome will automatically search for updates and download and install it. Once the installation is complete, restart Google Chrome browser. One of the best methods to fix Google Chrome is by uninstalling then reinstalling the browser. It clears the cache, therefore fixing your browser. Google Chrome browser is the most used browser on all platforms. When Chrome is not responding, our daily work takes quite a beating. All the above steps are given so that you can fix your Google Chrome issues in no time.